In 1986 we learnt the art of manufacturing natural mattresses and futons in Perth, Western Australia. We then returned to Geneva to start our own company and production in Switzerland. Firstly in the parent’s garage with Mum’s sewing machine and selling to friends. 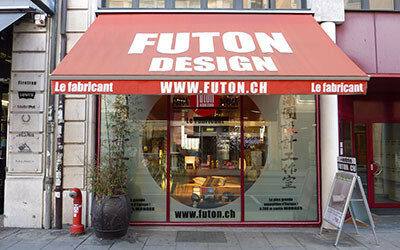 Our hand made mattress soon became very popular and we opened a shop and atelier directly in center Geneva, rue de Monthoux 36. The shop space and production became quickly too small to keep up with, so we decided to open a larger shop and production by the freeway exit of Morges. We then specialized in all types of mattresses on the market especially working with avant-garde materials e.g. visco-elastic foam, technogel and naturally based memory foam composed of Soja and Castor oil. Since the beginning we design and create our own beds in many styles, forms and dimensions to satisfy our clients needs for maximum comfort. Introduction of BIOTEX in Switzerland. These mattresses are naturally based foams made out of 100% natural Castor oil. Visco-Sensitive, Visco-Reactive, Latex and top quality spring. Wholesaling of our products to shops in Swiss-Germany. Adding a 3rd floor of 600m2 to our shop in Morges making a total of 1'500 m2 of commercial space. Opening of our Morges shop situated 200m from the freeway exit. Opening of our Sion shop in front of the train station for a duration of 5 years. 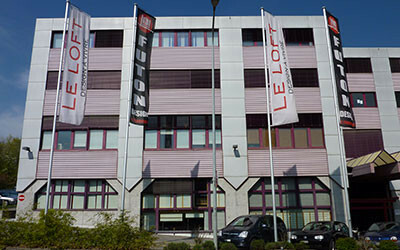 Creation of the business and opening of the first futon shop in the Swiss French area, manufacturing natural mattresses. I want to thank all the people who have received me in Geneva as well as in Morges. Your warm welcome and friendly service were perfect. And a big thank you especially to all those who participated in the manufacturing of my futon mattress in emergency. “I ordered a futon on your site last Sunday and 8 days later, the order was delivered to my home. Efficient shipment. I received 2 emails from DPD carrier. The first Friday to tell me that the parcel would be delivered on Monday morning. The second Monday morning at 8am to advise me of the time of delivery, between 10am and 11am. The delivery was made at 10:30am. Very precise. The futon is exactly what I wished for. It is wonderful. Thank you !!!"